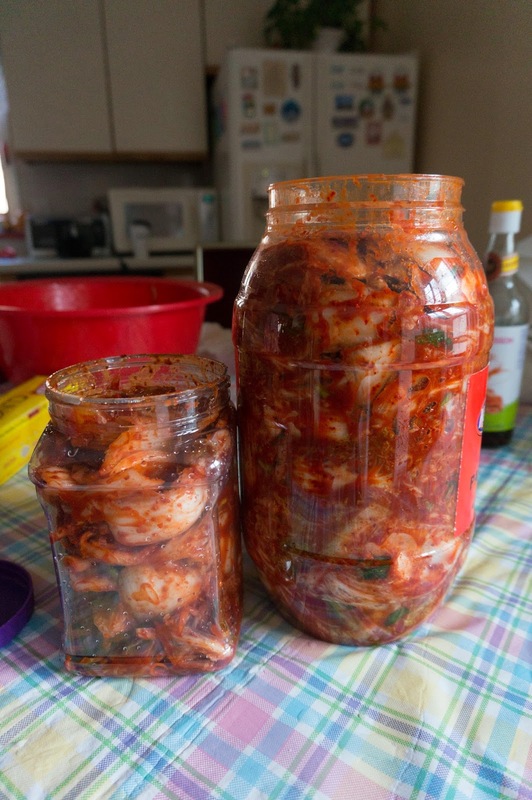 So last month I used Maangchi's recipe to make kkakdugi (radish kimchi) and it was well received. 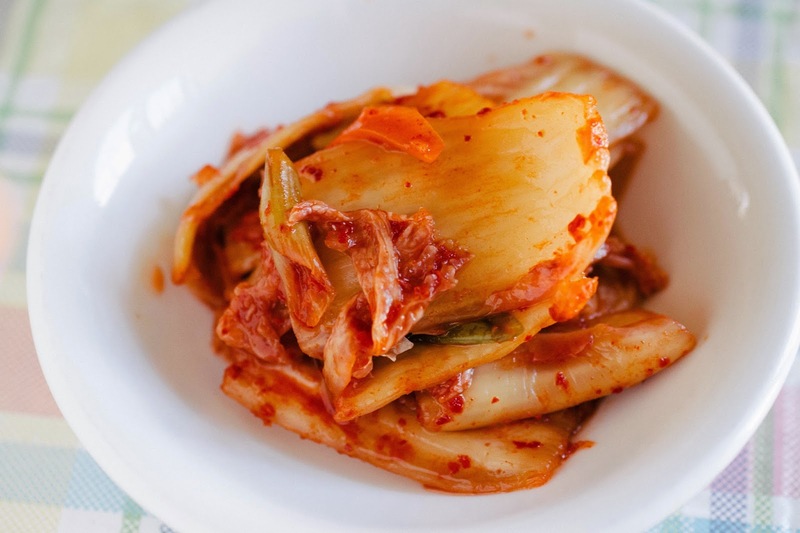 This month, I decided to make the napa cabbage kimchi hoping for similar results! It took awhile for us to prepare the ingredients since we were dealing with 10 pounds of cabbage. 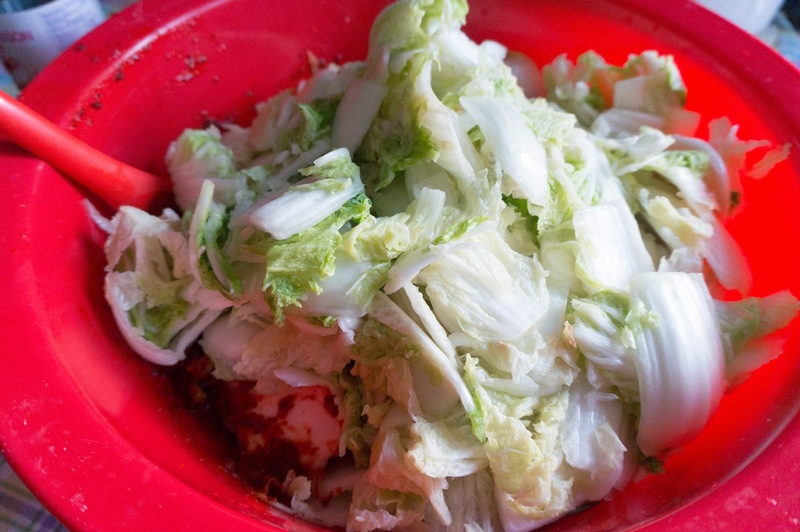 Total prep time was about 2-3hrs since we had to wash, cut, salt the cabbage before mixing it with the kimchi paste. We did leave out the squid since my husband is allergic but even before it fermented, it was already good enough to eat. I knew that after it becomes more sour, it was going to be hard for me to stay away from it. So far, I have already given away a good portion of it (about half) and I randomly pick at it from our containers. 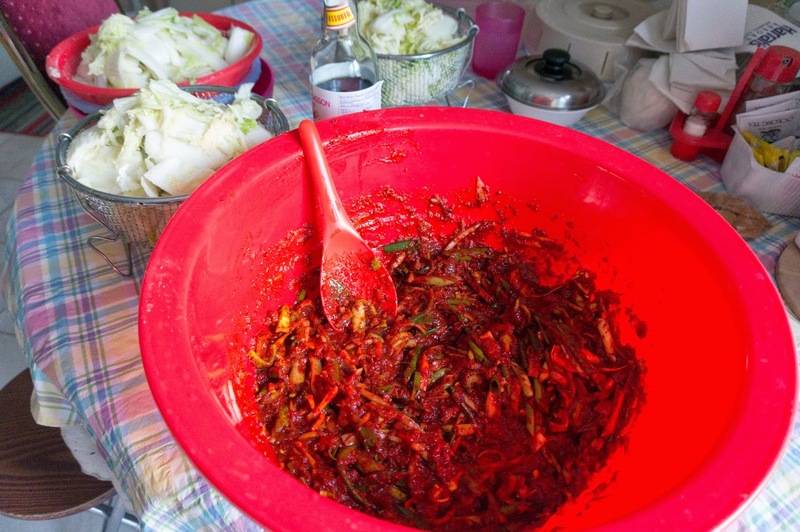 If you love Korean food/dishes, you NEED to check out Maangchi's website and recipes! Her videos and recipes are so easy to follow and I absolutely love her personality.